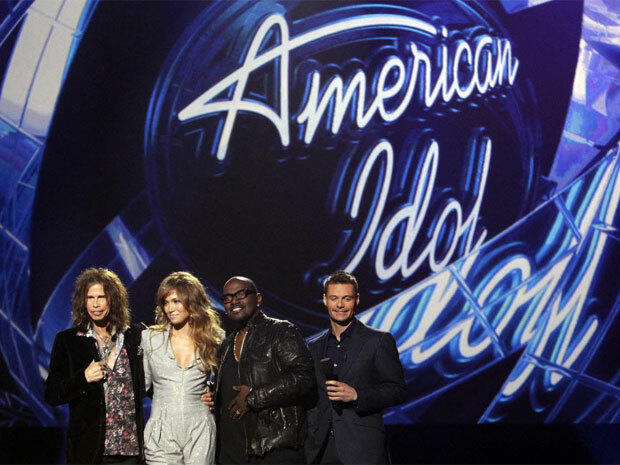 A Mid-Season American Idol Review – Do We Have a Winner? There are few certainties. Among them are death, taxes, and American Idol. Idol is on its 11th season and I am still actively watching it and, now, writing about it. There is something to be said for this odd devotion. It probably wouldn’t be a flattering comment. But there is a reason we all keep coming back to the show. Is this year’s stock of singers excellent. No. There are a few gems like always, but eventually the act wears thin, you narrow the group to 2-3, and you wait until one of them takes home the crown and attempts to avoid falling into obscurity like many of their predecessors. This is American Idol and we are down to the top seven, a good point for us to review the season thus far and make a top three prediction. After last nights performances, I think that Hollie Cavanagh will be gone after a sub-par performance of “Perfect” by Pink and that will leave us with the top six I mentioned above back on March 2. American Idol voters like symmetry. The season has been predictable thus far. The good performers shine weekly and the performers with less ability get left behind. I credit the voting populace for being so accurate. I guess after 11 years of this, America is sick of keeping in performers who are simply not good enough. Kudos! Choosing the top three is difficult. I can actually envision a scenario where any combination of the top six (supposing it falls the way I think it will) makes it into the top three. Let’s start with my one lock for a spot in the top three. Let’s say this in Randy lexicon. “Dude, she is in it to win it.” Look. Jessica is a vocal prodigy. She was when she tried out for America’s Got Talent five years ago, and she still is in her teenage years. Her voice is spectacular – jam-packed with a rich sincerity that combines with tremendous pipes and an ear for difficult vocal runs. The girl can sing her heart out and then do it again five minutes later. I don’t believe she has ever been close to the bottom in the vote pool and, right now, it seems like smooth sailing into the finals. The other two, though, are quite difficult to pick. Well, actually, only one spot is difficult for me because my winner is not Jessica Sanchez. Elise may be bound for sixth place but I am convinced that the judges will save her if she is voted out because they seem to desperately want her to stick (think Haley last year). I think the top three may feature only one vocal powerhouse so that will leave Josh Ledet behind. I think his talent is out-of-control at times and there is no denying he can sing, but, the other two powerful gospel singers to win this show have not done very well in the industry and I think that the public recognizes this and will crave more diversity…unless we are talking country music. Have you noticed that the majority of remaining contestants are from down South. Do not underestimate how popular this show is with the southern American populace. Now, I’m not saying that everyone down south loves country music, but, well, a lot of people love country music down south. That brings us to Skylar Laine. Skylar or Phil? Skylar or Phil? It can go either way. I am going to go with my gut on this one and while this may be the unpopular choice, I’m choosing Skylar here. Is Phil good enough to win the whole thing, yes. But I just see the country star following the Scotty/Laura path to the top three. And I can’t go against my pick to win. Proof that Jennifer Lopez is an idiot? She asked for more song in her criticism (despite giving this candid performance rave reviews). More song? NO! Are you serious? Not everything can have driving hip/hop beats and dancing. Colton turned a hip/hop song into a raw piano piece that displayed his voice to perfection. He nailed his notes and proved that he can manipulate songs and identify with them. Colton strikes me as an alt/pop performer who projects as an Augustana-like performer. While American Idol is trying to play it off like Colton is competing with Phil for votes I think that is inaccurate. If I had to guess, Phil and Elise (like Haley and Casey) split votes; Jessica, Josh, and to a lesser extent, Hollie split; and Colton and Skylar have their own independent voting grouping. Will it be enough to propel these two to final three? We will see.